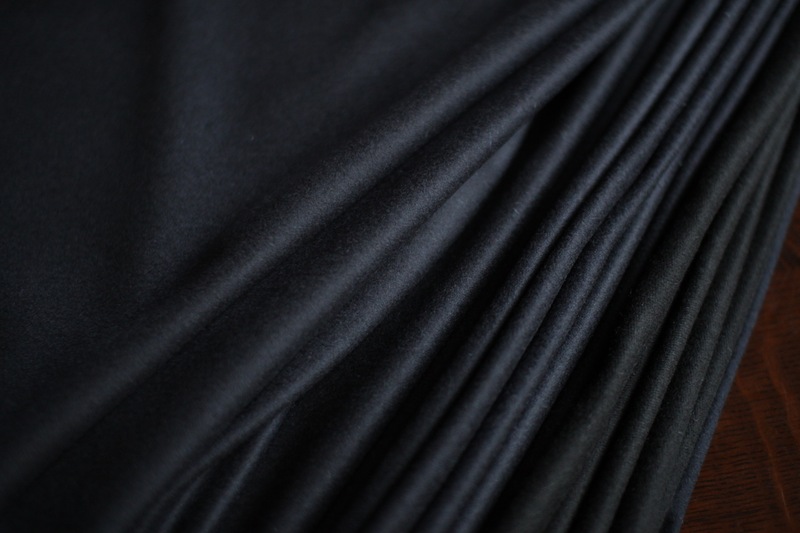 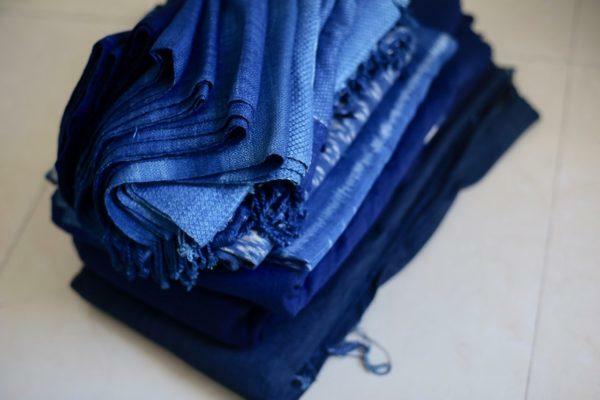 Only natural and high-quality materials are used in the making of our clothes. 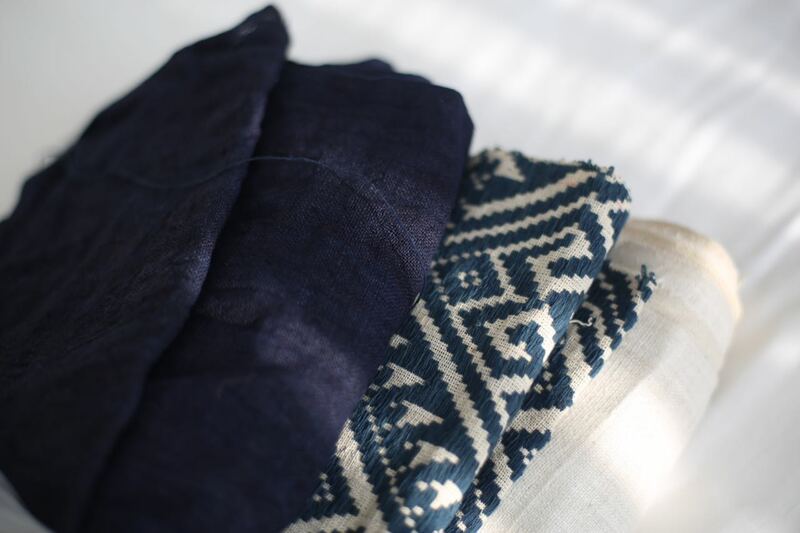 This line of clothing is made in large part from European linen yarns woven in Japan, and also wool, cotton and silk fabrics, that are dyed using natural materials (mostly plant-based dyes), and which clothes are sewn, and hand-dyed by me, in Japan. 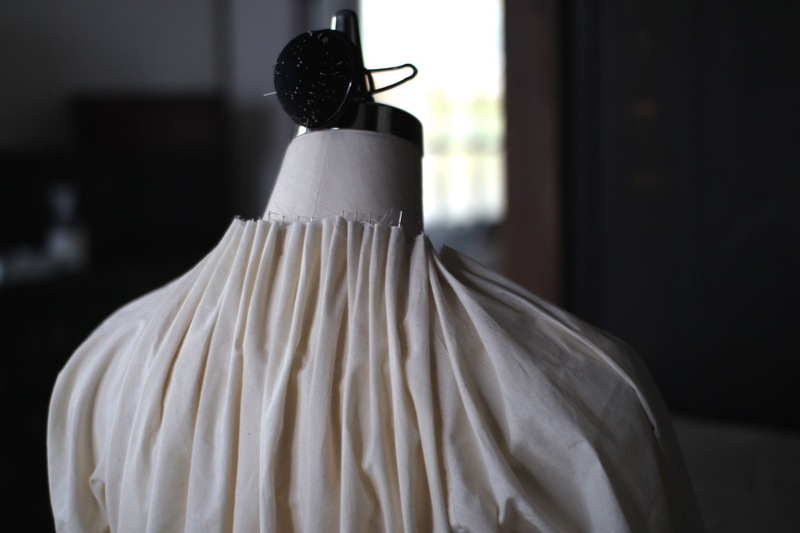 The works are carefully sewn, well-made, and will last a long time. 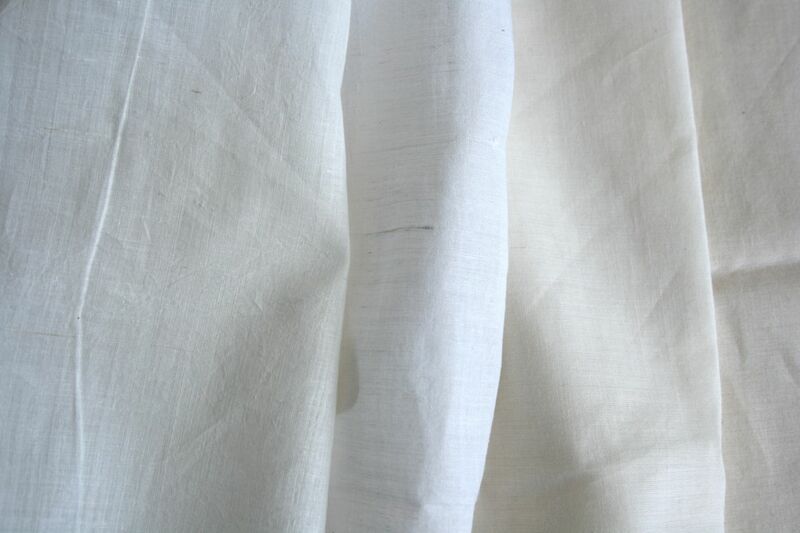 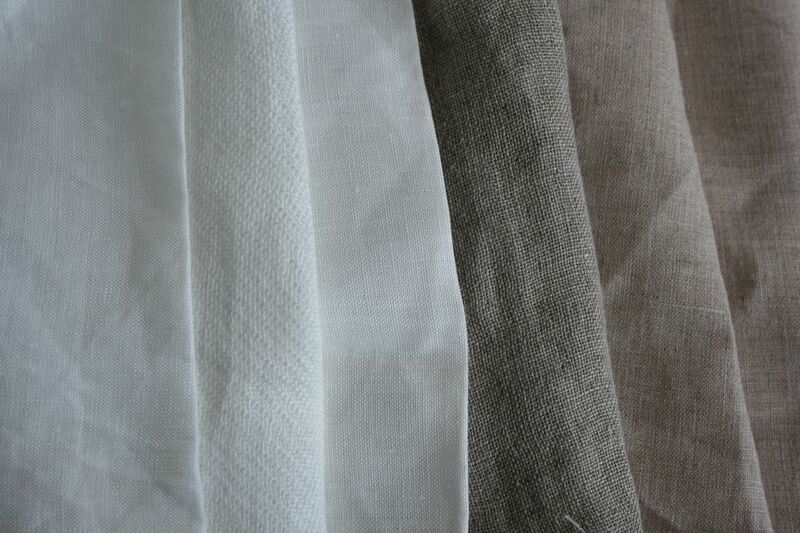 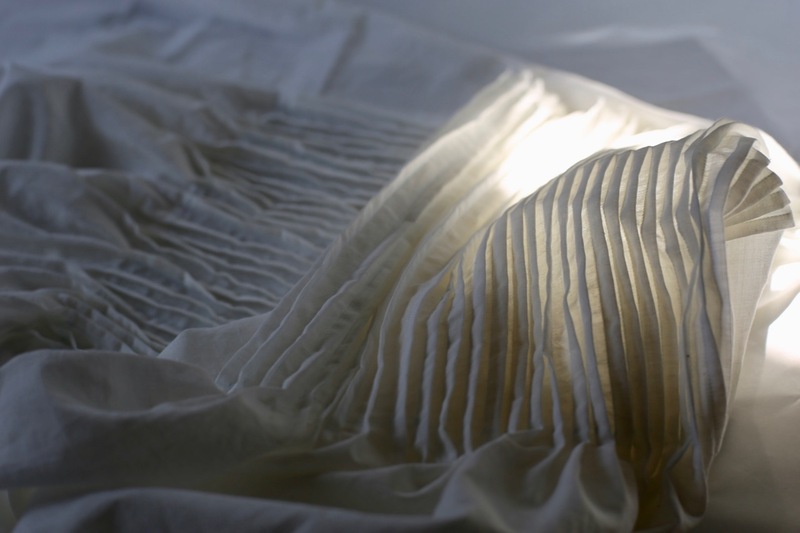 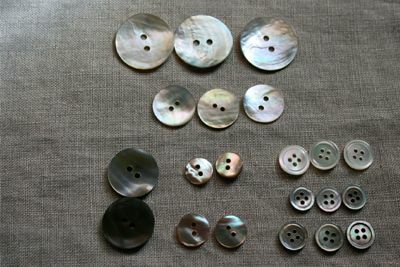 Fabrics used will soften with wear and washing; colors naturally undergo subtle changes as well over time. 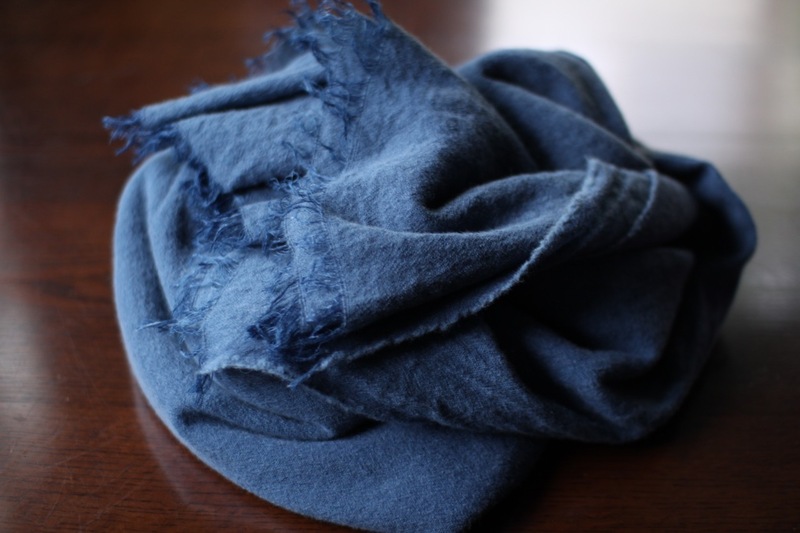 藍で染めたウールリネンのストール/ Indigo dyed woolen linen scarf. 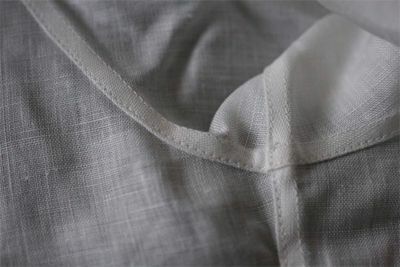 カシミアウール。カシミア率の高いものを選んでいます / Cashmere wool fabric for winter items.